When these two first met, it would be fanciful to talk of fate or destiny in the manner of, say, Lennon & McCartney’s first meeting or the colliding of stars that ended up as Morecambe & Wise. A Yin finding its Yang? Hardly. 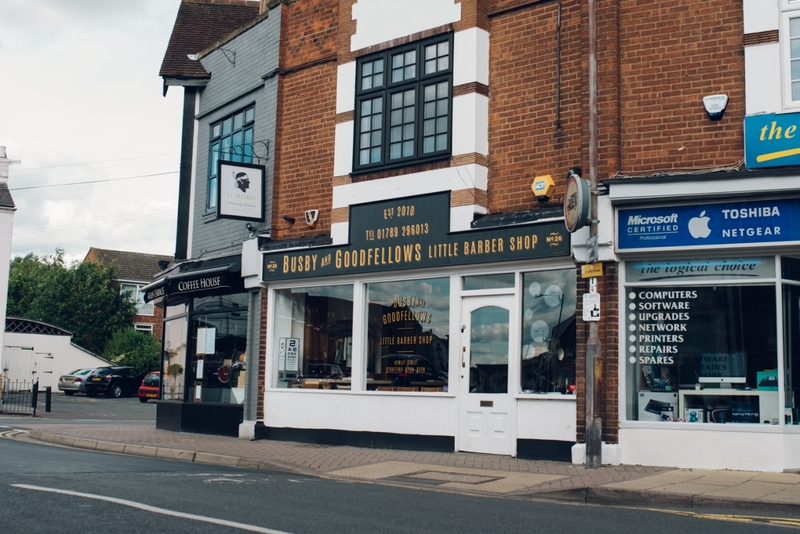 When two barbers meet it will never be an inter-galactic encounter, but when two blokes meet – two blokes who happen to be men of hair – it can be said that chords were struck and the humour was unanimous. Busby is likely to tell you that Harry stalked him. Goodfellow claims he was head-hunted by Luke, and the general piss-take between them tells the story. 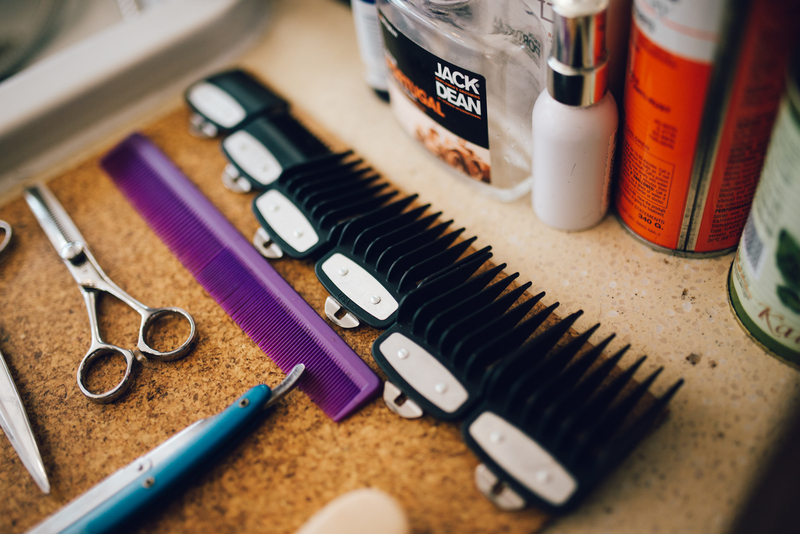 The Little Barber Shop had long established the core values that formed the common ground of their inevitable partnership; a professional cut and service; a good experience where the customer is a welcome visitor, and a lively banter, or not. 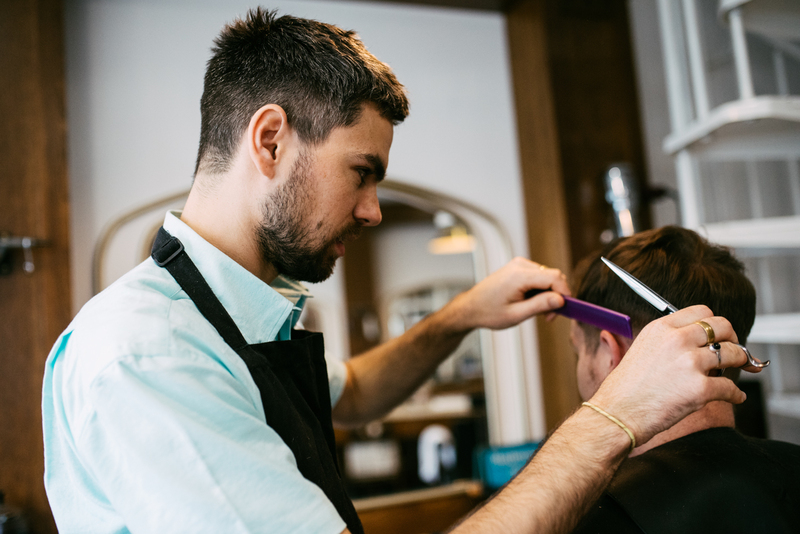 Customer first; a perfect cut takes time. 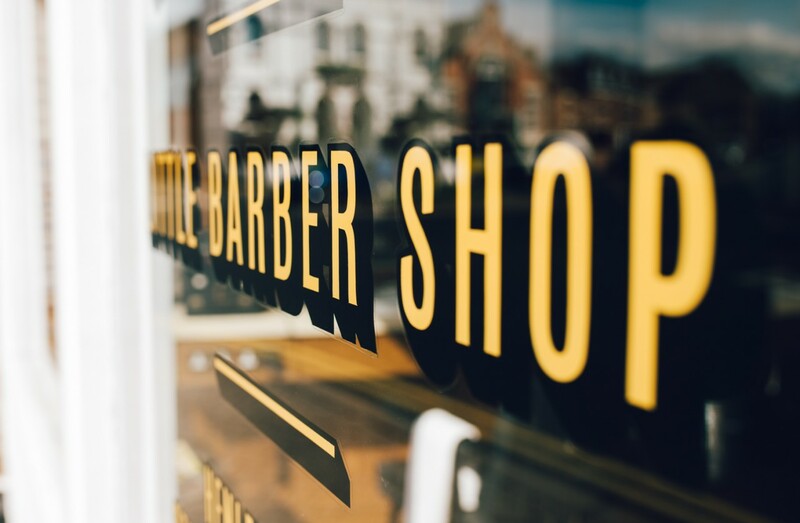 The only problem in moving to their spacious prime site was in keeping the atmosphere so key to The Little Barber Shop’s success; personality with the odd quirk. And a game of shut-the-box if you have the time. And not forgetting… Something for the weekend, Sir? 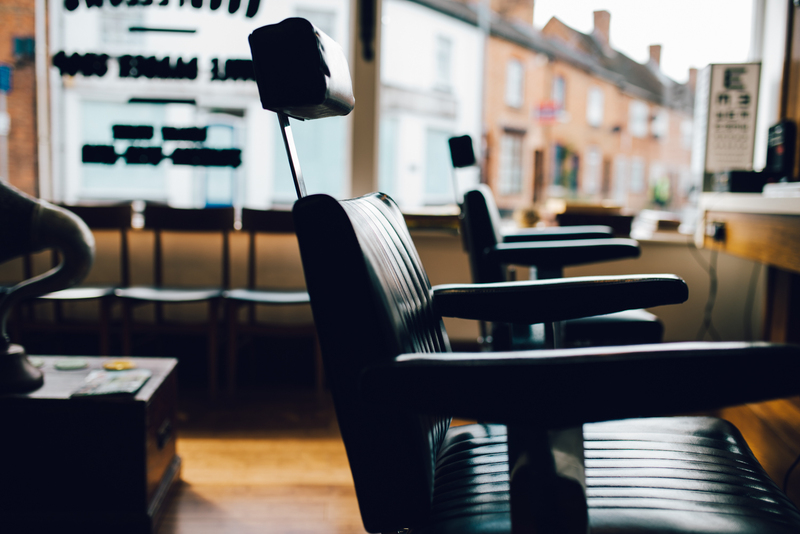 We are a Gentlemen’s barbers after all. A quick visit to The Luke Busby Museum of Curiosities Ancient and Modern, (who collects barbers chairs? Where else do you find a 50’s Cash Register?) Add a dartboard, and the transition is almost seamless. The chair space remains personal, the experience as leisurely, the coffee is improving, and Busby & Goodfellow await their next customer. 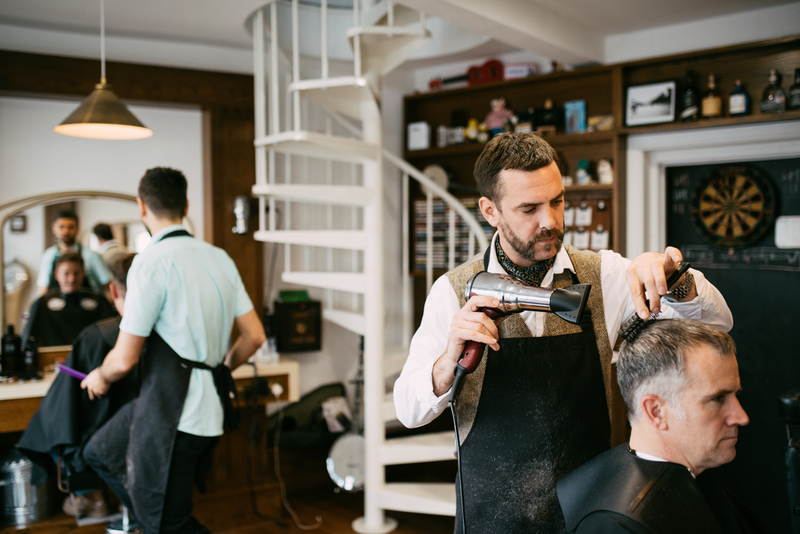 Conversation between the two of them can range from the banal to the bizarre, both are school-boy competitive and in between, fully satisfied customers get a first-class cut and a less qualified counsel. And the tunes of the day, though you’ll have to decide which day. 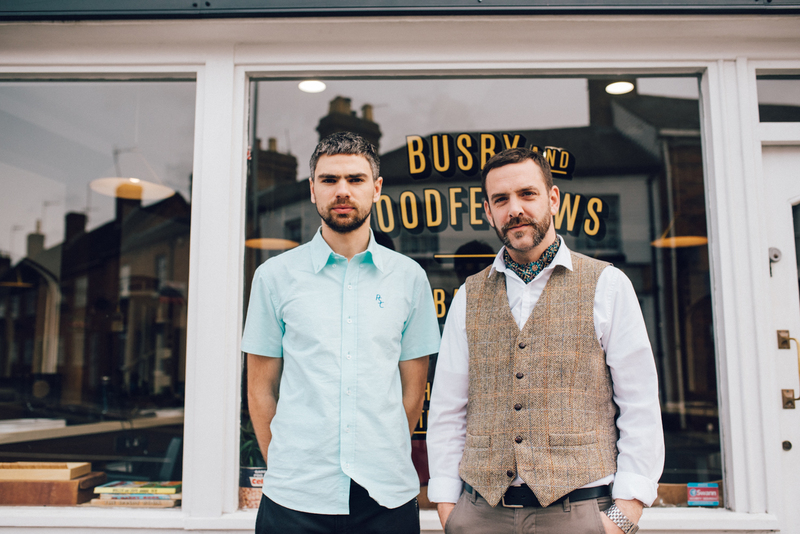 Busby and Goodfellow at your service. Just don’t ask them who’s best.